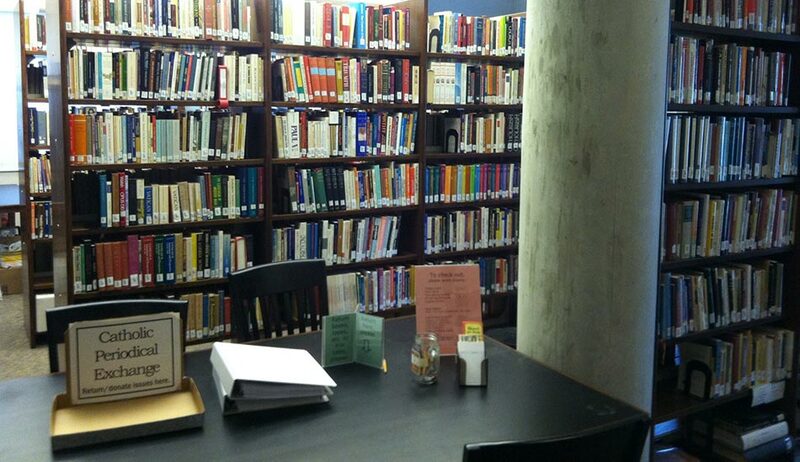 Our library is a great resource for all parishioners and students! Thanks to generous donors, the library has an extensive collection of books regarding theology and spirituality, books about those depicted in the church tapestries and bas reliefs, some novels and short stories by Catholic authors, and CDs and DVDs of past talks from the CCUP Lecture Series, the McCormick Lecture, and the Christian Leadership Program. Volunteers are always needed to help coordinate the facility. If interested, please contact the parish office at 419-531-4992.